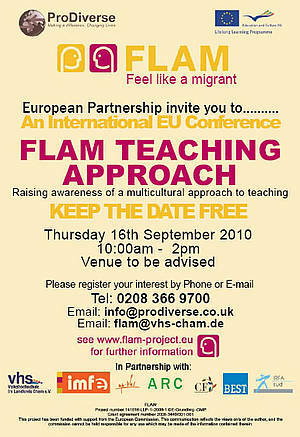 On the 16th of September the partnership FLAM held the seminar in London. The important target group of the seminar were: teachers, trainers, educational staff working with learners with migration background, authorities engaged in process of integration on local, regional and national level, decision makers and stakeholders of adult education and integration. In order to reach high number of participants, all partners disseminated information about the seminar via own network’ s contacts, FLAM website, flyers on the products and seminar and via additional registration website Eventbrite.com The multipliers represented England, Scotland, Ireland, Germany, Austria, France, Spain, Switzerland, Poland, Sweden, Belgium, Slovakia, Romania and Hungary, totally 75 participants took part in the event. 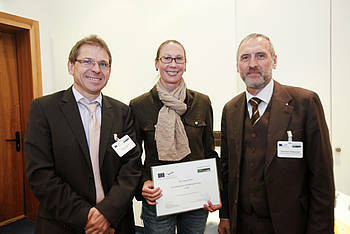 The Seminar was held in United Kingdom in September 2010 and it was connected with final meeting for partners. 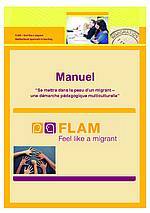 The seminar was foreseen for one day with presentation of the project: aims, target groups, results, speeches on the integration and migration issues and three topics of workshops; “Forever a migrant?”, “Examples of conflict” and “Teaching strategies” related to the training modules of the handbook FLAM. 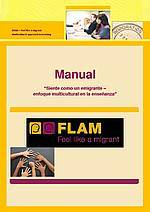 At the end of the seminar, each participant received a handbook in available project’s languages and some gadgets like small notebook with logo FLAM, flyers of partners’ organisations, project’s flyers and posters. 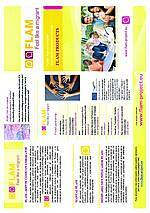 The key plans for the second year of the project “FLAM” were dissemination and exploitation of the results. 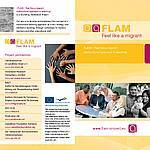 Within the project all partner institutions except regular dissemination actions organised in own countries demonstration events FLAM focusing on the practical presentation of the products, giving opportunity to taste “feel like a migrant” in the reality. The demonstration events focused on project presentation, its background and philosophy, as well as project’s outcomes and developed concepts. 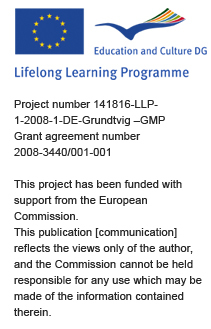 Events were also integrated with other events in the field of lifelong learning and integration process. 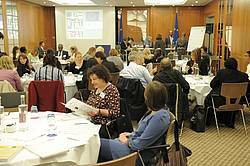 They consisted of a one day event, directed at key persons in education and potential learners. Totally partnership has organised 9 events with participation of 311 persons. 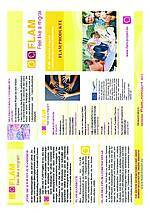 The FLAM-Handbook is now available for download. 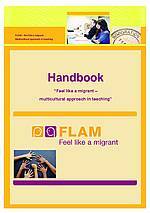 background information and practice materials for a multicultural teaching approach for teachers, trainers, and guidance counselors working with migrants. The handbook gives a theoretical overview of the topics Europe and its cultural diversity, conceptions and philosophical foundations of a multicultural approach and the latest scientific research findings in the field of integration through education and vocational guidance. It outlines the concept of intercultural communication and the impact of social, cultural and family factors on intercultural communication. 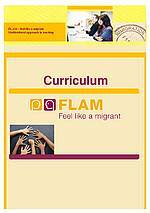 Furthermore it includes background materials on characteristical learning approaches of migrants, their motivation to learn as well as social and cultural aspects in the learning process. It also consists of a description of a multicultural teaching approach and its implementation in the teaching process with learners with migration background. Multicultural competences of teachers, trainers, educators are being outlined, the importance of being aware of different beliefs, attitudes, knowledge and skills. The handbook provides background information on the principles of learner–centered learning, and of content and socially oriented learning. Because of its modular structure the handbook can be used for a wide variety of measures like in‐service training courses, courses to raise teaching competences and skills, it can be also used as self education tool for teachers, trainers and other staff. Some of the tools can be used during in‐service trainings for teachers, trainers, educators or as activities for self‐reflection. 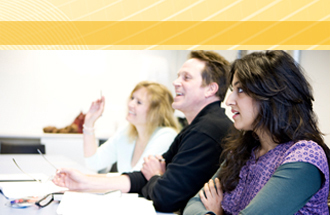 either in the form of a written assignment or a discussion during the training course. 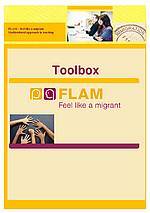 The handbook includes also tools which can be used directly during the trainings/courses with migrant learners. are provided for each module, and besides practice examples and a lot of information they include, a variety of additional tools like games, role plays, pair or group work examples, and a lot more, to enhance learning outcomes. The "Concepts for Demonstation Events" and the second Flyers are now available for download. We hereby invite you to the European Multiplier Seminar held on the 16th of September 2010 in London summarizing the activities of two years FLAM project. It will aim at raising the awareness of trainers, teachers etc. for a multicultural approach in teaching. The seminar will also be a great opportunity to present our FLAM handbook and exchange experiences and opinions on a multicultural teaching approach with participants from different European countries. 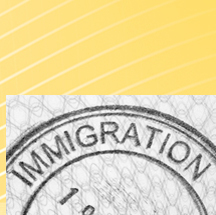 The target group are teachers, trainers, educational staff working with migrants, stakeholders in adult education, adult education centres, vocational educational training centres, institutions and authorities responsible for integration. 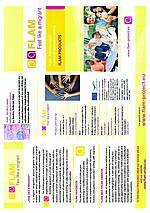 Der Verband der Schweizerischen Volkshochschulen (Association of Swiss Adult Education Centres) joins the partnership of the project FLAM.